Alexander Lervik (previously here) has just come out with a very unique lamp: The Poetry of Light chocolate lamp. 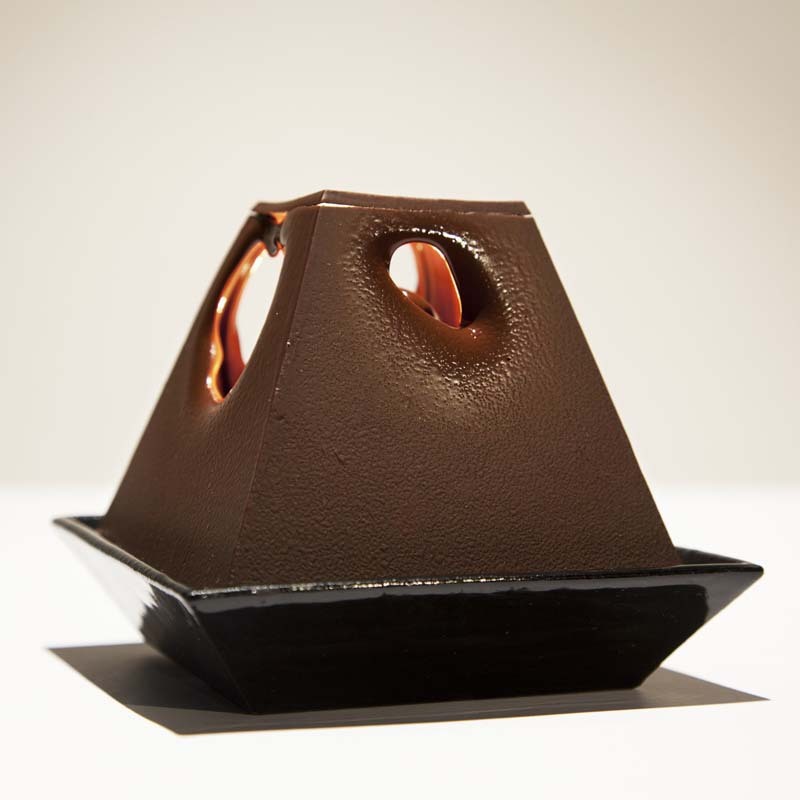 Wanting to explore darkness in contrast with light, Lervik set out to play with the idea of melting solid chocolate with a light source to reveal the light. 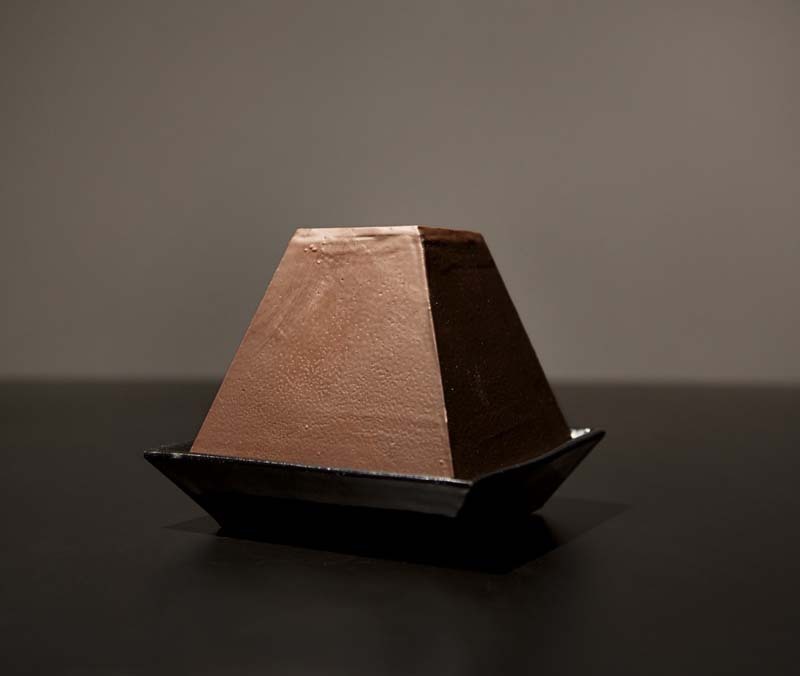 Originally cube-shaped, the designer realized that the way chocolate melts worked better with a pyramid. The lamp begins in complete darkness and as the light source heats the dark chocolate it begins to melt, at first revealing a tiny ray of light and after roughly a 15-minute period the bulb is completely exposed and the melted chocolate ends up in a sectioned tray and can be taken out and consumed like a chocolate bar. Very fun. This entry was posted in Food, Fun, Industrial Design, Just Plain Cool, Light, Stuff We Like. Bookmark the permalink.